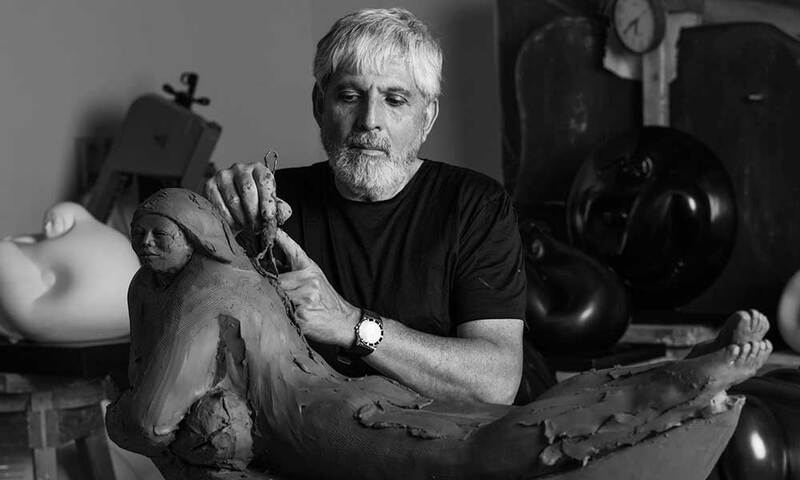 Jorge Jiménez Martínez, in art Deredia, was born in Heredia, Costa Rica, on October 4th, 1954. He graduated in sculpture at the Castella Conservatory. 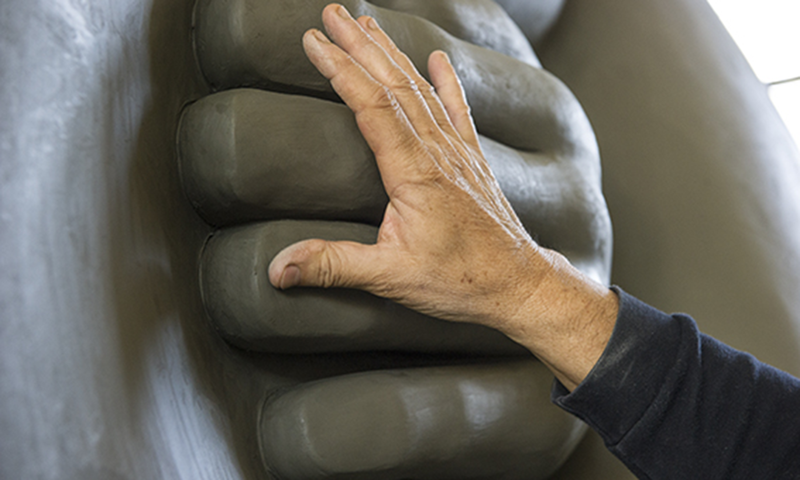 He began working as a sculptor in the 1970s, creating works that highlight both the development of organic forms modified by the environment, the force of gravity and growth, and influences of pre-Columbian art. 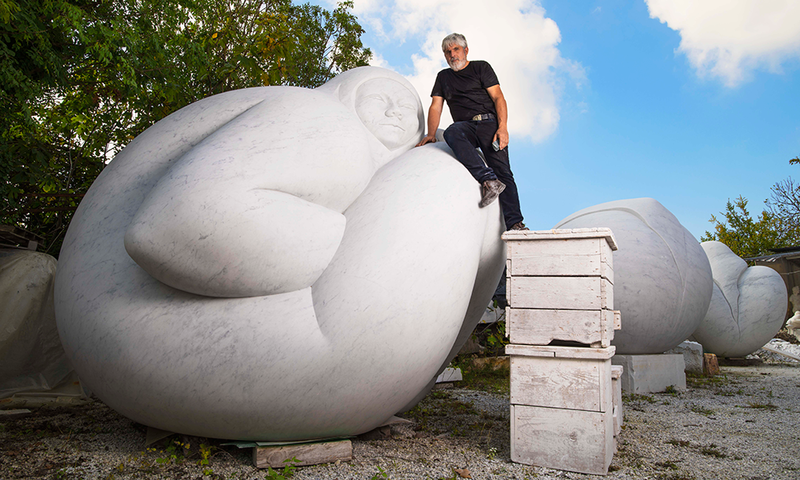 At the age of 22, in 1976, he moved to Italy thanks to a scholarship and began traveling around Europe; coming into contact with the main artistic movements of the continent. FROM COSTA RICA TO EUROPE. Deredia graduated from the Academy of Fine Arts in Carrara and from 1980 to 1986 he attended the Faculty of Architecture at the University of Florence. The intellectual stimuli of those years profoundly changed his approach to the work of art: immersed in the climate of Florence, Deredia deepened his interest in the Renaissance period. The intellectual fervor of that period encouraged him to reflect on the development of his work, and even to conceive a new perception of life. The intuition of a globalizing vision of “Being” and of the universe is strengthened due to the recovery of the Costa Rican culture, in particular the pre-Columbian spheres of the ancient Boruca. 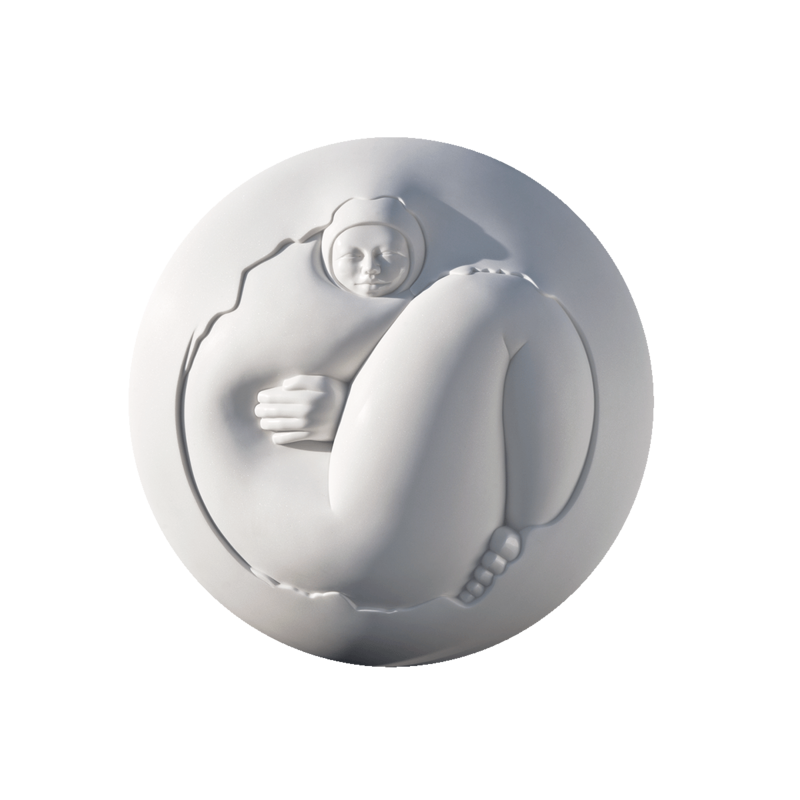 Those mysterious artifacts move the sculptor towards studies that concern both the shape and the material used, as well as the function and the symbolism linked to the sphere and the circle. This phase of artistic renewal is also underlined with the adoption of the stage name of Deredia, a contraction of “de – Heredia” (from – Heredia), his hometown. In 1985, Deredia composed the first Genesis, works of art that describe distinct phases of mutation of matter in space through time, and lays the foundations for the creation of his artistic ideology, Transmutative Symbolism. He participates in the Venice Biennials of 1988, 1993 and 1999. The Venetian experience is marked by the encounter with the famous art scholar Pierre Restany: the friendship and collaboration born then are also decisive for the artistic and intellectual growth of Deredia. 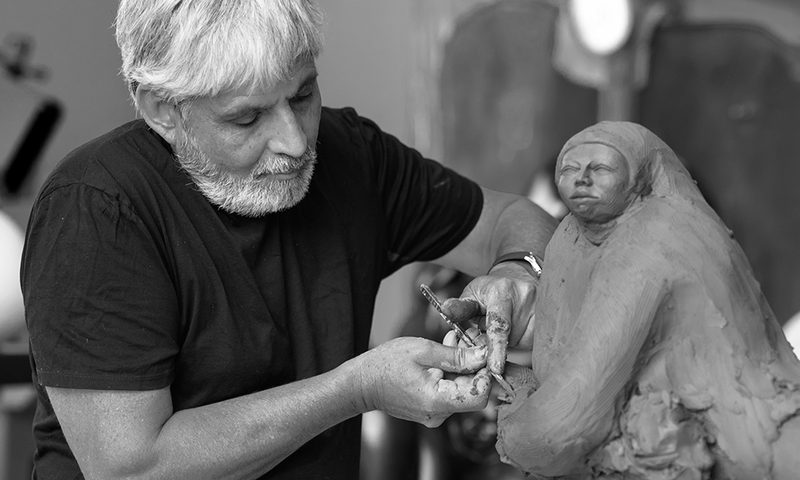 In fact, together with the French theoretician, the sculptor lays the foundations for building a vision of Costa Rican cultural identity encompassing the totality of the historical process by incorporating pre-Columbian cultures and its strong symbolic elaboration. In 1999, he received the “Beato Angelico” award to highlight the profound spirituality of his artistic production and his secular thought. For the occasion of the Great Jubilee of 2000, the Fabbrica di San Pietro commissioned the realization of the marble statue of San Marcellino Champagnat, to be placed on the southern façade of the Basilica of Saint Peter in the Vatican, inside the central niche of the transept that was designed between 1544 and 1564 by Michelangelo Buonarroti. Pope John Paul II inaugurated the sculpture on September 20, 2000 and with this Deredia becomes the first non-European artist present in the fulcrum of Christianity. In 2006, after a major personal exhibition set up in the city of Florence, he received the nomination of Academic Correspondent of the Class of Sculpture, from the Academy of Florentine Design Arts, founded by Cosimo I dei Medici in 1563. In the long history of Academy also named as Academic Correspondents: Michelangelo Buonarroti, Titian, Tintoretto, Palladio and Galileo Galilei. From June to November 2009, Deredia creates an important personal exhibition in the city of Rome: 60 sculptures are located in three museums of the city, in the main squares and around the Coliseum. 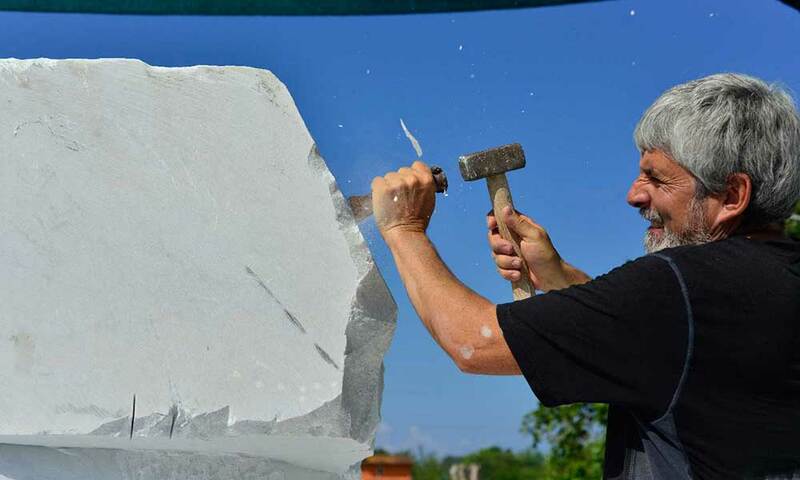 For this occasion, the Roman Forum opens its doors to contemporary art by hosting 10 monumental sculptural complexes by the artist along the Via Sacra. 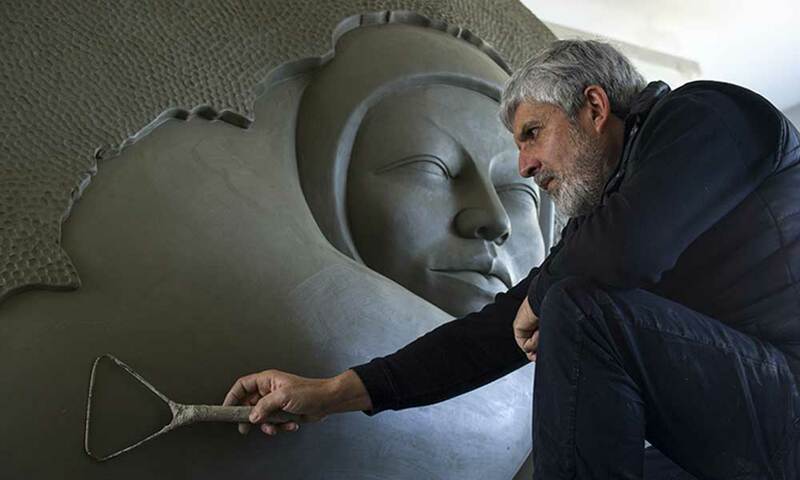 The understanding of the sphere, an archetypal element raised as a symbol of the Deredian art work, leads the sculptor to the conceptualization of Transmutative Symbolism, a line of thought expressed today in the Ruta de la Paz: an immense project, which includes nine large sculptural complexes in as many countries of the American continent, from Canada to the Tierra del Fuego in Argentina. 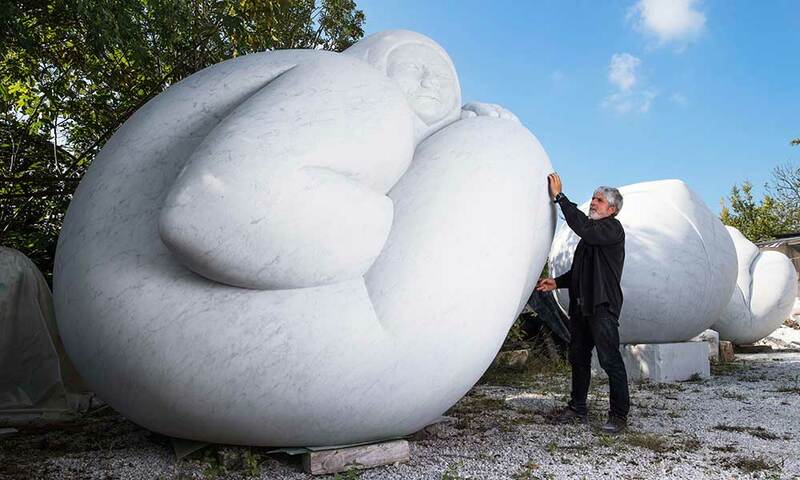 During his career this singular Latin American artist and thinker has carved marble and cast in bronze monumental works for museums and public places in Europe, Asia, the United States of America and Latin America bringing his message of peace and of hope with the most physical of the arts: sculpture.